Andrew has over 15 years of pastoring/leadership and teaching experience. His various roles pastoring have been Youth Pastor for 5 years, Assistant Pastor for 4 years and Senior Pastor for 7 years. 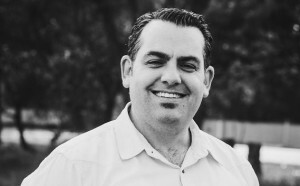 Along with these appointments Andrew has served in leadership roles as Regional and National Youth Director for the CAOG (Canadian Assemblies of God) and District Leader for ACC (FORMERLY AOG) Victoria. Andrew is also a VET Trainer at Harvest Bible College and has many years of developing and teaching biblical studies. Andrew is an author who has spoken internationally and has been a conference speaker. Andrew’s heart is to help leaders achieve their unique purpose. There are so many facets to Senior Leadership within any organisation, and church is no different. Andrew has experience helping others with vision formation and engagement as well as helped leaders identify strengths and help resource areas where they need help. Andrew believes that leaders should focus on being themselves and building good teams around them to make up for areas of lack. Andrew has also been involved in various ways in helping healthy transition in churches and dealing with the many issues and challenges that come with making big changes. Andrew and his wife Donna moved from Montreal, Canada to Melbourne, Australia in 2005. They have 2 beautiful daughters. After over 15 years in pastoral leadership Andrew is stepping out into coaching and consulting.